Opodo was formed in 2000 by nine of Europe’s leading airlines (British Airways, Lufthansa, Air France, Iberia, Alitalia, Finnair, KLM, Air Lingus and Austrian Airways). It had two core objectives: firstly to become a low cost distribution channel for travel products and secondly to become a leading player in the increasingly lucrative online travel market. The online travel market is challenging but thoroughly rewarding and exciting. It offers great potential and is predicted to continue to experience an increase in growth. 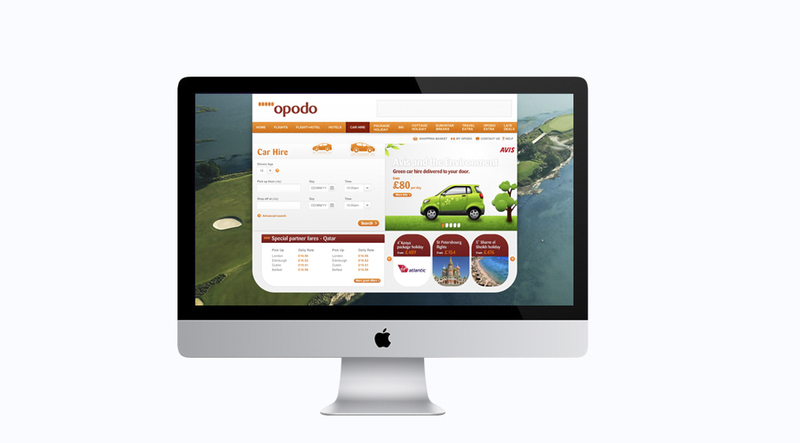 To utilise the potential of the online travel market, Opodo required a vision that would start and sustain a business, with marketing and technological revolutions all running in unison and synchronised to perfection. Speed to market and revenue delivery were crucial aspects of this business plan. Investment in the service had to show a reliable return. All of our activities, from product and service creation to training, customer service and marketing communications were driven by a single vision. This was that Opodo’s greatest asset would be its level of service. It would bring together the most skilled people in the travel industry, offering online customers an unparalleled depth of industry experience. The marketing framework was based on results, aimed at attracting, converting and retaining customers. Revenue targets were extremely challenging, but Opodo’s launch had to deliver immediate results. The pricing strategy would be the most aggressive in the marketplace, and yet the attention to detail in customer service would be unsurpassed. The key to our strategy was measuring return on investment immediately, using any relevant results to increase the effectiveness of all possible marketing activities. Central to this approach was the ‘Customer Lifecycle’ model created by Waves, our company specialising in communication planning. This allowed us to develop different techniques for each crucial stage of the marketing campaign: creating awareness of the brand; driving traffic to the site and enhancing the conversion of customers from lookers to bookers. This strategy of highly targeted and segmented communications through a precise selection of channels delivered rapid brand awareness, traffic volumes and record sales. Opodo had to launch soon after the 9/11 attacks, probably the worst time in the travel industry’s history. This new, unknown company instantly became the number one player in key markets by carefully managing messaging in this time of reflection. Opodo represented a great technological and commercial challenge. Opodo’s launch was regarded as a phenomenon. With 700 staff and over 1 billion Euros of gross sales, Opodo has become one of Europe’s most successful online business launches ever. Opodo was voted the Best Travel Website at the Chartered Institute of Marketing Travel Advertising Awards and won the prestigious ‘Revolution Award’ for Best Brand Building by an Online Business.